I was reminded of a great secret yesterday. It came twice, both times unexpectedly. It started while I was making chocolate batter pancakes covered with Nutella for my kids before I left for the office. Out of the blue (for me, obviously not for him though) our 5 yr old decided to tell me that “I never obey angry people. That is why I don’t obey sometimes, you get angry.” I guess that means I am worse than I thought. Honest feedback helps us improve, right? Later after the other two kids devoured their Nutella pancakes and the 5 yr old decided he wanted anything but chocolate covered Nutella pancakes he asked me why I have to go to work. I shared a few reasons and then he went further and asked: “What makes someone good at work?” (is he really only 5?) I was reminded about life’s greatest secret again. All day yesterday I was thinking about his question. I decided to write down what was learned over the past decade by working with super successful people across a variety of industries and countries. I realized to fully become what we are capable of – we must focus on the foundational characteristics that make us who we are. If we understand the foundational elements of what can create successful people, then we can begin to work on applying the great secret. You are valuable and you are important. Live to your potential by helping others and focusing on action over theory, results over plans, and integrity over image. Stand for truth and honesty, even if it means standing alone. Your character is what matters. It is what builds trust. Trust always wins. Change your self-talk and change your life. You become the person you tell yourself you are. As you trust yourself, others begin to trust you. More trust equals more success. The only way to get people to care about you is to care about them first. If you like them, they might like you back. If they can believe you, that is the foundation to building trust. If they believe your words, can see your actions, and like you – you have won. If you want to be great, to help others and to win, give more. Be more. Do more. Passion is not automatic. The better we are at something, the more we want to do it. Find ways to master your craft. You will never find your biggest and best opportunities for success if you are stuck in familiar territory. Get out, change your surroundings, take a leap. Focus on helping others and being a good person. Sometimes it might be harder but it is always worth it. Work hard and believe in your future success. Think positive thoughts and eventually you will have positive results. Worker harder than you want to while believing in the good more than those around you. So once the foundation is laid, you can begin to focus on the secret key to all business success: that great secret. In the end, relationships always matter the most. Of course data is important, yet, it is not the most important. Yes, performance is needed, but no amount of performance can repair broken relationships. Relationships win when all else is equal. Data does not win business (or elections, just ask Hilary & Mitt), it is all about relationships (real or perceived). As you focus on developing better skills remember the number one skill to master is your ability to create enduring relationships. Listen. Care. Think about their needs. As you build your foundation and embrace your current situation you end up embracing your future. Now you can get motivated and will move yourself to the next level. The further you go, the more incredible, challenging, and fulfilling your life will be. Bring people with you. Your happiness and success is largely determined by the quality of your relationships. 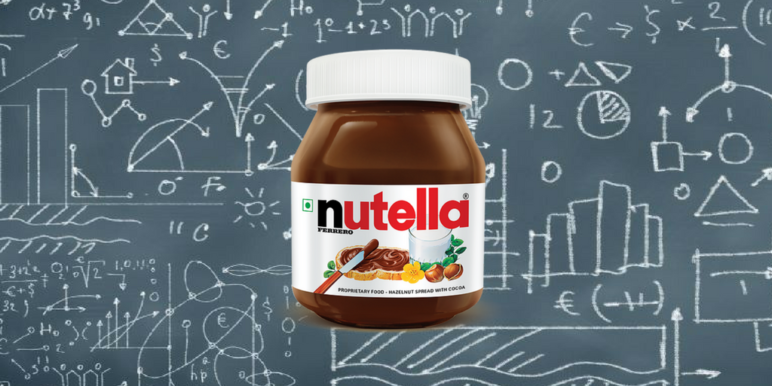 While smooth, sweet, nutty, creamy Nutella is always welcome, sometimes we need people to give us the “difficult to swallow” feedback and ask us the “hard” questions. Thanks Son, Love You.